Of all the skills it takes to make comics, writing is one of the last I tried to tackle as a student and practitioner myself. Now that I’ve been working on it for about 20 years, trying to teach it is both fascinating and dughnting. Quite simply it a HUGE topic to cover and I’m still figuring out how to unpack it for students. Let me say upfront, you don’t have to know everything to start. You just have to have somewhere to start. First, I encourage spending a lot of time listening to and talking with writers and students of the form to learn about it and get feedback. There is a lot of craft and insight to be learned from peers and mentors. Look for local groups in your community, and online of course is an embarrassment of free or affordable material on the subject, podcasts, youtube, and blogs galore. As well as online correspondence courses like my own. I share most things I find on the FB page here. I’m a fan of cinema and see a lot of correlation between that medium & comics. 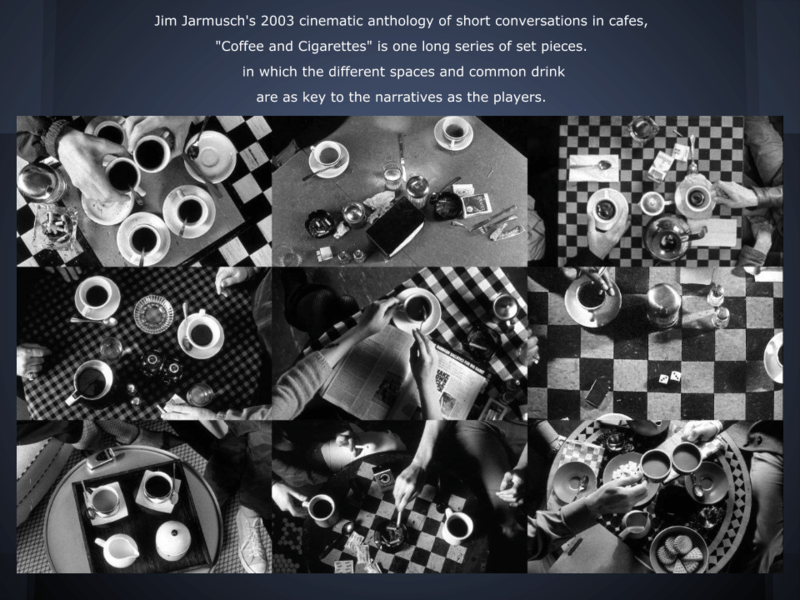 To that end i’ve created a playlist of cinema analysis for you to watch and learn some of the art of film storytelling! It’s entertaining too, but super informative. 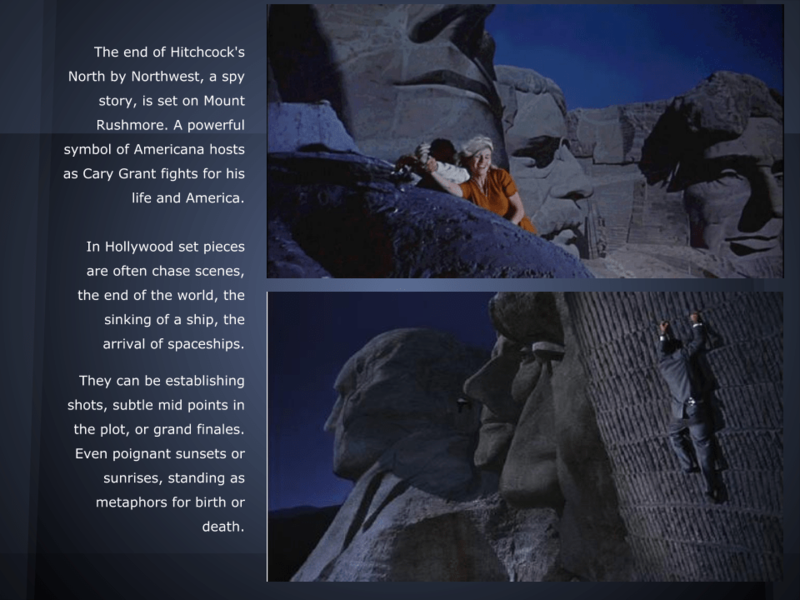 There are key differences between the mediums, I talk about some here in my post titled ‘Like moving pictures, but not‘. It’s a different kind of picking of moments to show, but still a lot alike too. For those inclined to agree already, and those not too even more: I recommend watching ALL of Tony Zhou’s ‘every frame a painting‘ series on cinematic visual storytelling, and I was personally struck by this clip, of Krzysztof Kieślowski talking about his thoughts on time in Blue. Mind expanding stuff if you like thinking about story and time. Both of those appear to some extent in the previously mentioned Playlist. My First and most important personal lesson, is Edit, Edit, Edit. and Edit again. And then one more time for good measure. Writing is Editing. Even the continuous draft ‘On the road’, wasn’t the final draft. I rewrote Dream Life several times before I even hit on the plot structure I used in the final version. Next, think of comics as an art of compression. Simplifying a story down to its most basic elements. It’s fair to say that compression was key to being able to tell a good story in a one page tabloid comic like Little Nemo or Krazy Kat. But it’s a factor in long form stories too. That said I love playing with decompression in some instances. But we don’t want to slow things down to much. That would be dull. So it’s always ‘relatively speaking’ still a form of compressed storytelling in comics. Otherwise it would be a film strip! This subject has been talked about a lot, Superhero authors Warren Ellis, Dan Slott, and Brian Wood have openly explored various forms of formally compressed storytelling, and post Maus, Spiegelman has become a big advocate of it too. And of course, contextually, decompression has become a popular thing to explore. I’m not the only one playing with that. Stuart Moore’s A Thousand Flowers: Compression, Decompression is an excellent read on this [pdf]. 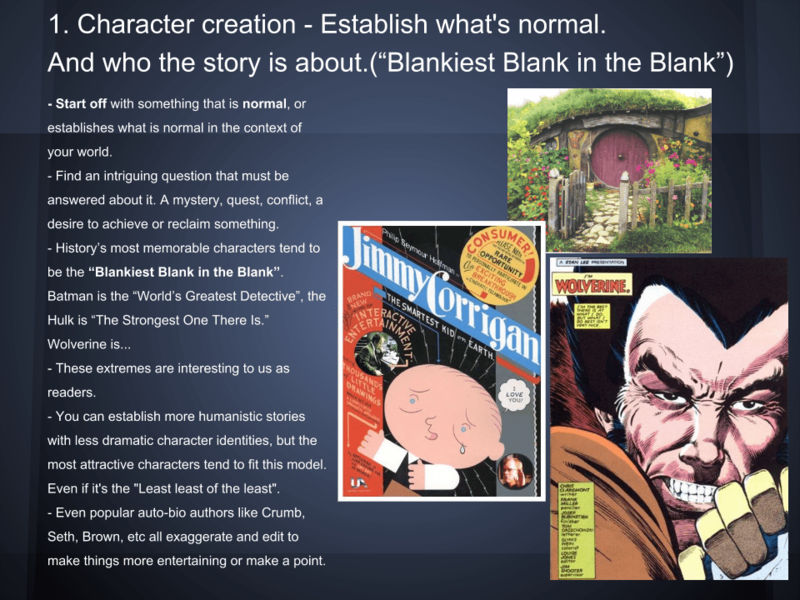 Both paths are valid, but for this course to accommodate the short story format, a lot of your stories will need to utilize compression quite a bit. Narrative Arcs! To some degree every scene should have some sort of conflict. Your character wants something, and can’t get it without some difficulty, even if it’s minor. Consider that each of these moments, builds up to the overall story arc. Flat scenes with no conflict or information about the story of any kind are just padding. If it’s not telling us something it’s dead weight. EDIT! So what Kind of Arc to use? Mostly that’s likely to be a Three Act Arc. Even if it’s short! It’s possible to have a three act story arc, in just three panels! Three act arcs aren’t your only path, narratives can follow other paterns, like say a palindrome, a reverie or a round. But most stories fit into more traditional story arc structures. 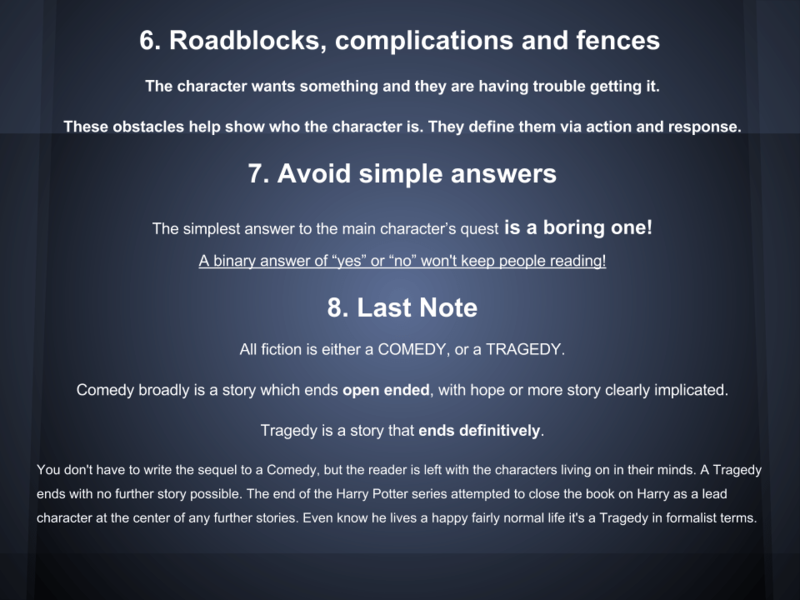 While the Three Act story structure is the most common, there are many others. For example Shakespeare’s five act structure, Link & Link. A lot of TV now follows Seven Act story models built to work with instead of against commercial breaks and weekly cliffhangers. There are also film and tv versions of 9-Act Screenplay Structures, and a wide range of other models following Nine acts. 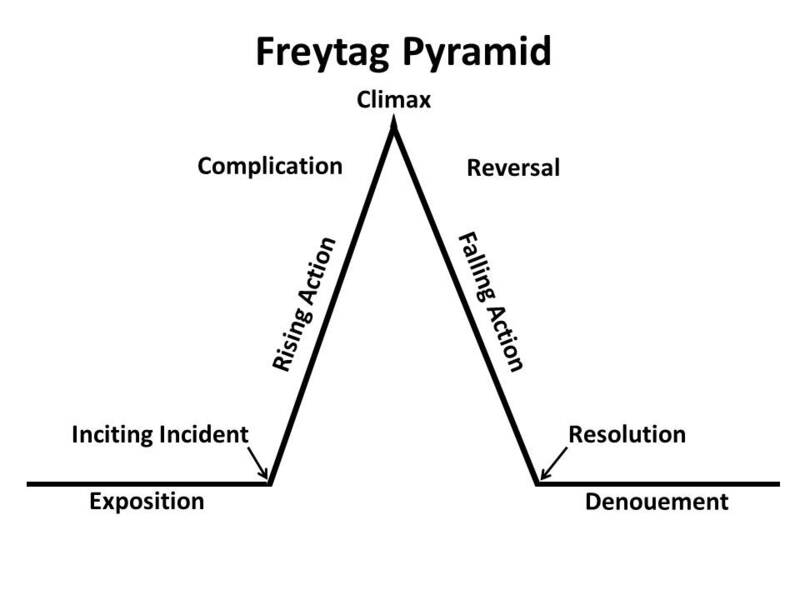 Those usually break down to models that follow variations on Freytag’s Pyramid. 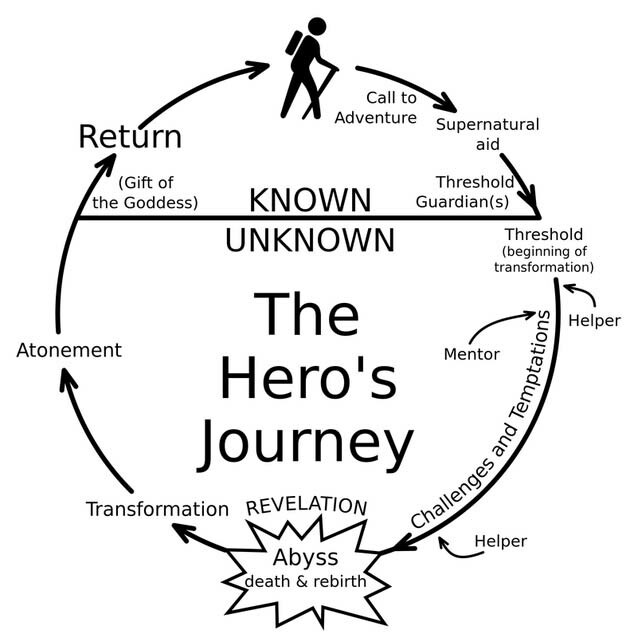 And of course there’s things like the ‘Hero’s Journey‘ [link], which is a way of thinking about plot in terms of the characters development, and evolutions through the narrative arc. It’s also called the Monomyth by followers of the work of Joseph Campbell. FYI he did an interesting documentary about his ideas around this, you find clips from it and other analysis of the ideas here in this huge playlist. It looks like; 1. THE ORDINARY WORLD: 2. THE CALL TO ADVENTURE: 3. REFUSAL OF THE CALL: 4. MEETING WITH THE MENTOR: 5. CROSSING THE THRESHOLD: 6. TESTS, ALLIES AND ENEMIES: 7. APPROACH: 8. THE ORDEAL: 9. THE REWARD: 10. THE ROAD BACK: 11. THE RESURRECTION: 12. RETURN WITH THE ELIXIR. Christopher Booker wrote a Jungian-influenced analysis of stories and their psychological meaning called The Seven Basic Plots. Booker worked on the book for 34 years reputedly and it’s been lauded by many writers and academics. You can read a good summary of them here! And cited as an influence on Booker, Georges Polti categorized what he believed to be every dramatic situation that might occur in a story or performance in his book The Thirty-Six Dramatic Situations. You’ll find those summarized here! In gaming there’s the idea of a Quest, which borrows from those ideas but is evolving into it’s own thing a bit too. Another aspect of thinking about narrative structure comes up particularly in popular fiction, but really is relevant to all forms. There is no HARD and fast rule about how that works. But there are broad rules of thumbs, traditions, tropes and archetypes that make up what we call genre. All early comics were fairly simple and deceptively elegant at their best. Little Nemo again comes to mind. In recent years the form has diversified a lot more, but genre still informs a lot of the work for simple reasons. It’s a very effective way to start building a story. 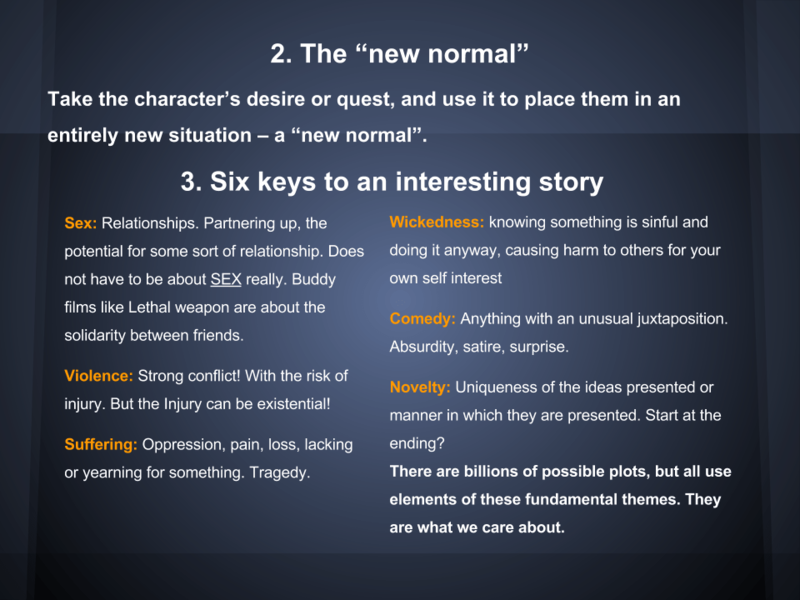 Think of a character who fits interesting or strong archetypes, put them in a situation, and make things happen following the dramatic expectation of the given genre. It’s not the only way to go, if you don’t do anything innovative with it people will know what your last panel looks like before you do. But, it’s often a practical place to start talking and thinking about story. Today, on one hand we have longer but finite narratives like those we see in most graphic novels, open-ended short installment serials that define the monthly direct comics market. Longer serialized anthologies elsewhere. And webcomics, dominated by ongoing stories that are designed to have some kind of sub-climax gag or payoff on many if not all pages. A lot like the old news strips like Nemo Krazy Kat and Dream of the Rarebit Fiend once did. Another really important way to think about the structuring of our stories, is the idea of Story Beats. The Blake Snyder Beat Sheet is a popular plot structure template that models things that way. How about interpreting the musical notion of a Fugue? Another idea already common to literature, are Reveries, this post includes several illustrated Comics Reverie poems. Here’s some more comics to read. Examples of a few things i’ve brought up here in action. Some are my own work, some by others and available to read online. One that struck me from that last link is. 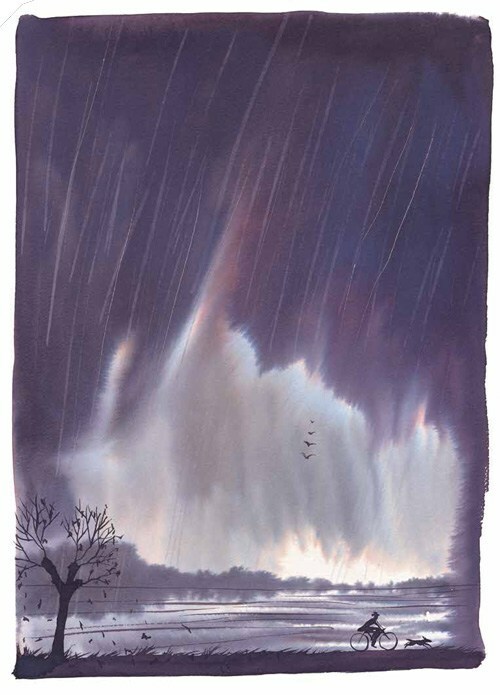 ‘The River’. It is exceptionally beautiful. I did a bit of a character sketch, a short story called ‘Pin City‘. It was something out of a larger project, pulled out to experiment with a drawing style. It’s a narrative one act story that I think fits the notion of Reverie. But specifically focused on character development. ‘Where The Wild Things Went‘ on the other hand, explores both my personal evolution, but also larger ideas about more universal aspects we all share. 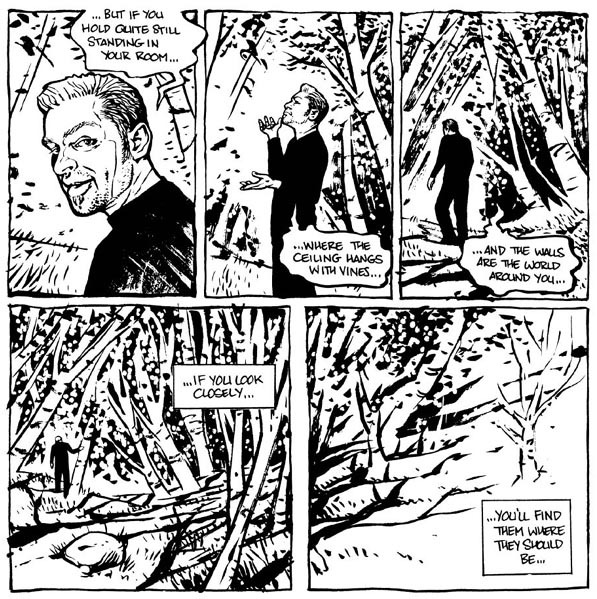 I have several other short stories and my graphic novel Dream Life uploaded to Tapastic here, and my 2007 GN with Jim Monroe, ‘Therefore, Repent!’ is here! Handy if you have the app. 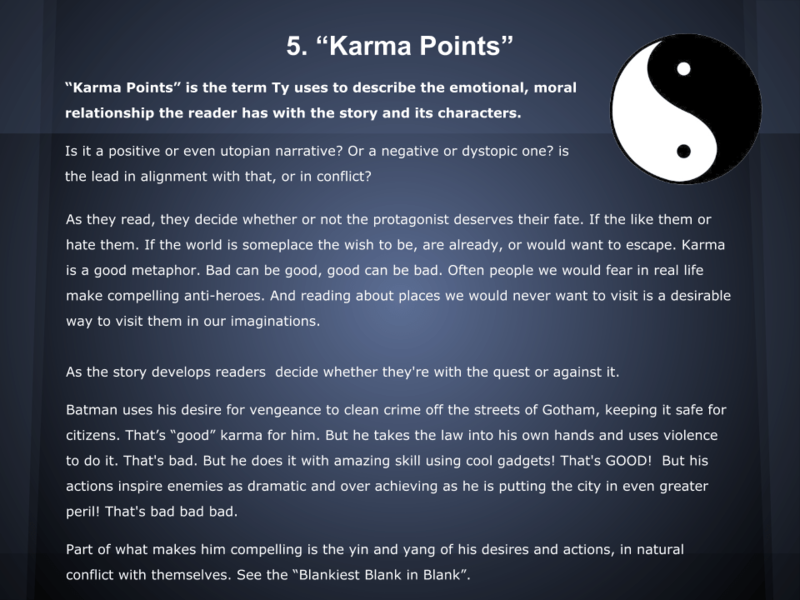 Can you identify what kinds of narrative arcs i’ve been exploring and name some archetypes? This is a short from ‘Heroes For Hope‘ done in 1985 exploring the Wolverine character, by Harlan Ellison, Frank Miller, Bill Sienkiewicz, John Workman, and Christie Scheele. “Don’t Cry For Me I’m Already Dead” by Rebecca Sugar is a story about two brothers who have to communicate something profound through Simpson’s quotes. I’d say it follows a three act structure personally. ‘Waxing Moon‘ & ‘The Village Under the Clouds‘ are some great short stories by Meags Fitzgerald. What kind of story arcs do you think they fit? I talk more about this here, but another thing to consider is characterization. Like their physical design, it’s important whenever possible, to ensure your characters are identifiable by HOW they talk. In an example borrowed from Justin Jordan, “You shouldn’t need to see it’s Batman speaking to know it’s not Superman“. This is a tricky aspect of writing diolog, and it takes some time to master. But don’t wait to start thinking about it. Listen to people around you talking, as well as characters in your favourte media. Take note of what makes each person’s personality show through. 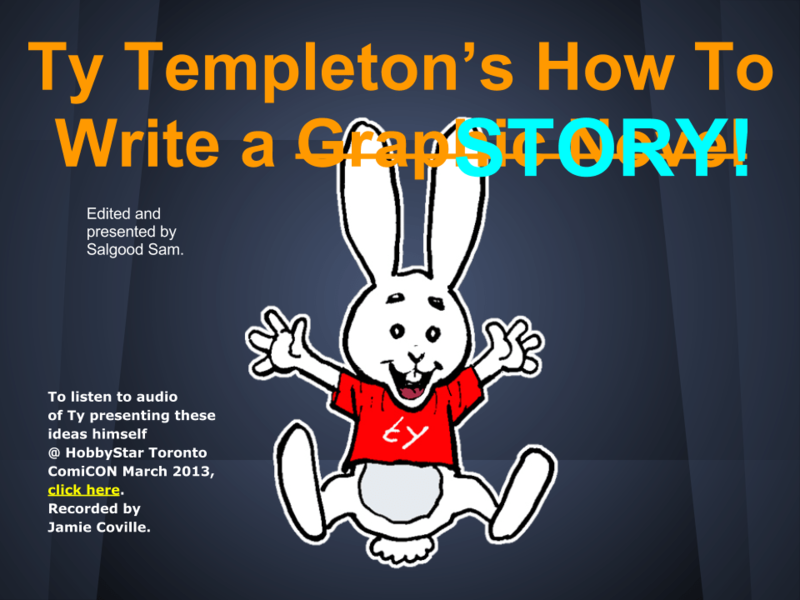 Ok, one last resource, a talk by Ty Templeton on more or less genre driven writing and how to cobble together the skeleton of a story from a fairly simple list of choices. Ty is a popular artist and writer, and teacher of comics, he’s got his own school here in Toronto. Given at a convention this is How To Write a Graphic Novel in Under an Hour! (47:32, 43.5mb). You’ll find I’ve embedded it below along with a visual slideshow helping to illustrate his ideas. 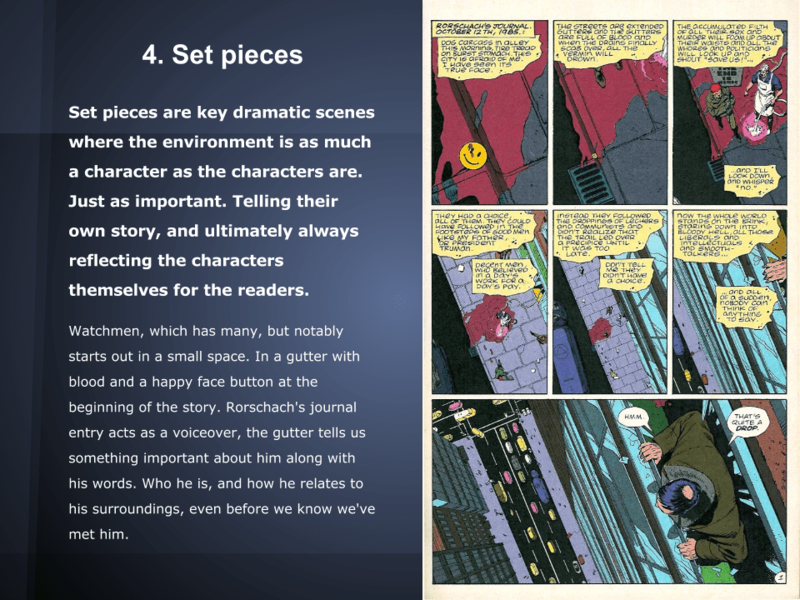 A good primer on basic storytelling in any medium, recorded by Jamie Coville, keeper of a grand archive of comics history wisdom and trivia on his site here. Don’t be thrown by his first words of advice, “No one wants to read your Graphic Novel!“. In the sense that a key challenge in being a successful storyteller, you have to engage readers, give them a reason to spend time with your story. I personally don’t think it’s good to pander to the readers too much and give them ONLY what they want. I like to challenge them too. That’s what I like in a story myself. But to get them to read along, you do have to engage them on their terms at least long enough to get them to care when you give them a Red Wedding. Once you’ve listen to and read all this, for contrast check out the other posts on story too. Again this isn’t the end all be all of good writing. Just a good formula for where to start, especially if you’re doing Genre fiction. Ty moves around a lot so you’ll need to turn the volume up to hear everything in this recording. 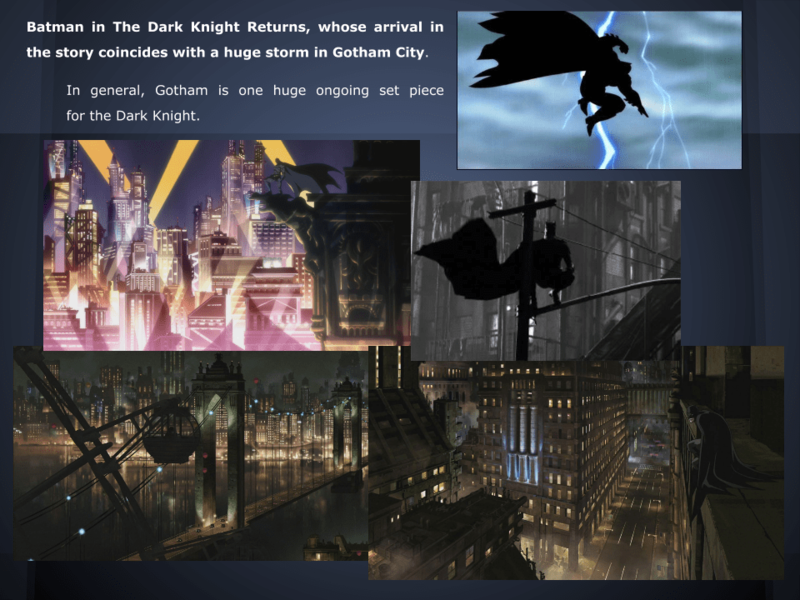 I’ve also made a Powerpoint style presentation using Ty’s ideas, you can look at that here in this gallery.